I was in New York City last weekend and it had been several years since I was there and it felt so good to return. I want to share with you some highlights from my New York weekend in Manhatten. If you plan to visit, I would recommend everything I am about to mention. Our first stop was the 911 Memorial. The last time we were there, they still in the were in the development stage for a memorial. There are two reflection pools where the two towers once stood.The reflection pools are a beautiful and yet powerful reminder of how many lost their lives that day. 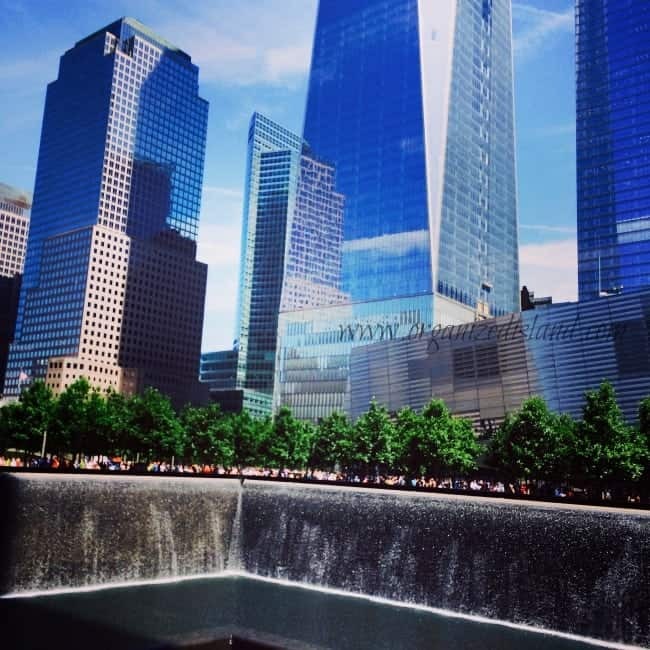 The 911 Museum is now open nearby and it was established to examine the events leading up to the 9/11 attacks through multimedia displays, narratives and a collection of artifacts. Ticket prices for the museum are $24 for adults and $15 for kids 7-17 (kids 6 and under are free). Admission is free for all visitors on Tuesday evenings from 5 p.m. to 8 p.m, but you need to make reservations in advance. You can get more information at the Memorial Museum website. The next stop on our visit was to one of my favorite stores ever, Century Twenty-One. 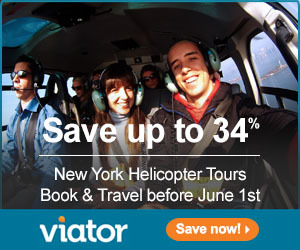 If you are on a visit to New York City and love a bargain, you need to make a stop here. It is a discount department store kind of like H & M except there are many big brands here, including designer labels, all at great prices. 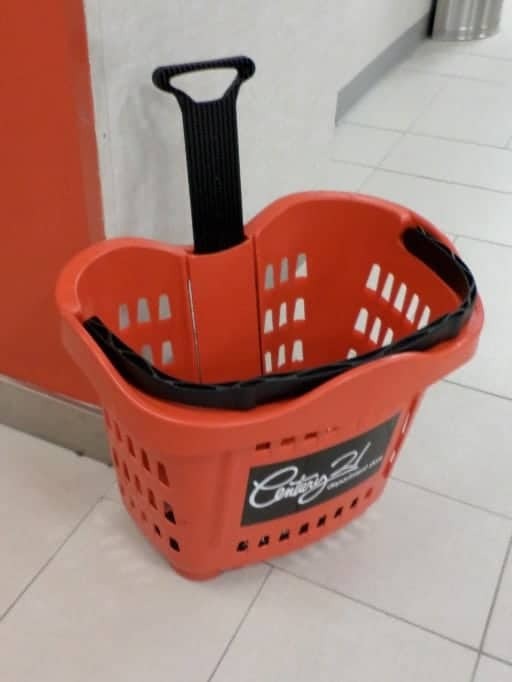 There are so many great clothing and accessory bargains here and people card around their items in these little shopping baskets on wheels. If you go to New York, I recommend a visit. Until then, you can shop online and check out the deals on their website at www.c21stores.com. After shopping and lots of walking around the Financial District, we took a break and watched a couple of World Cup games on TV at a local bar. 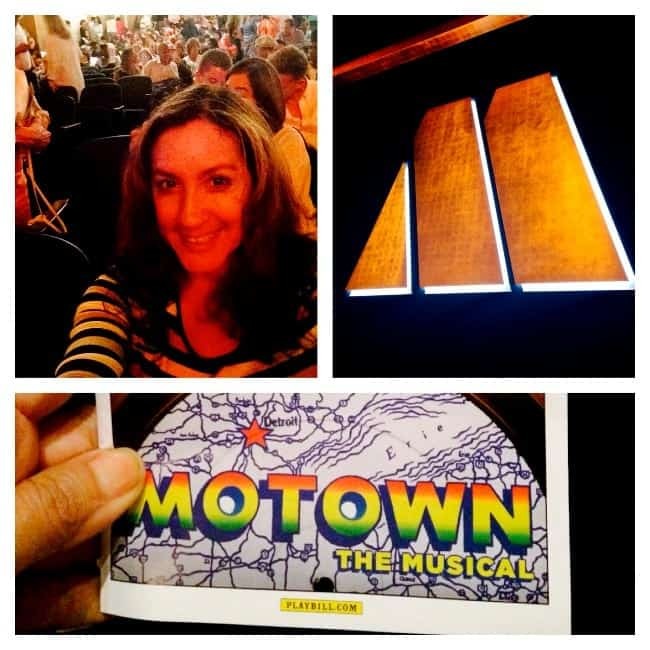 After dinner, we headed to see Motown the Musical. This musical tells the story of Berry Gordy’s quest to start a record label in the 1950’s. The story is intriguing and the performances are outstanding. It is one of those performances that goes by too fast. If you are like me, the songs will remind you of your youth through a wonderful musical journey that includes songs from many fabulous artists that made Motown such an iconic label. The story has so many great anecdotes about the different artists and the development of some of their songs, that really gives you a great perspective on tunes that are reminiscent of our youth. 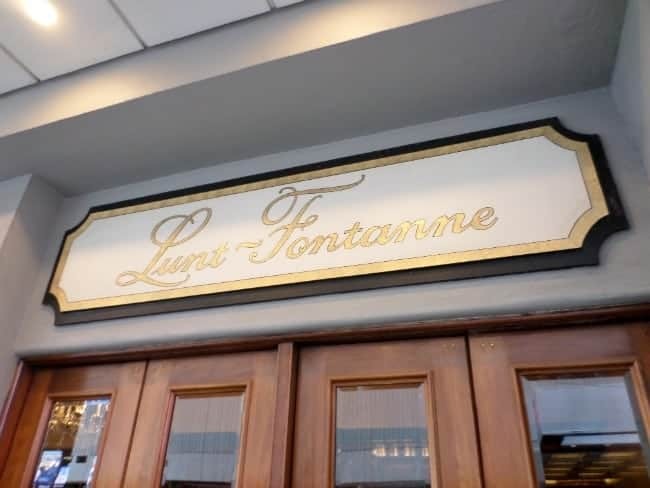 We saw Motown the Musical at the Lunt-Fontanne Theater in the Theater district. It is really a fun event for the family too. With the exception of a couple of f-bombs, it is a great way to share some of the music with the kids. Here is a preview of the musical. I give it two thumbs up. It is on a national tour beginning the end of this summer and I honestly may see it again. So that was my Friday in New York last week. I wish I had been there longer than a weekend as there are so many wonderful things to do in that great city. Have you been to New York City? What is your favorite place to visit there? NYC is definitely on my bucket list! I’ll have to check out that C21 store too, love those little shopping baskets. Where’s your next trip to, Ms World Traveller? Can’t wait to hear about it. You will love it Ann! 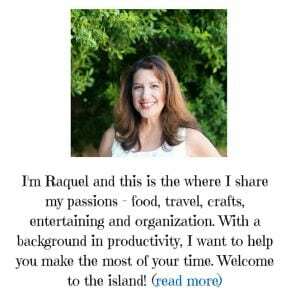 My next trip is to San Jose for BlogHer! Are you going? I could get into a lot of trouble at Century 21! I grew up in NJ so NYC was “my city.” I guess I took it for granted because it was always there. Lovely to visit. I could NEVER live there. So true Tamara I had to resist over-shopping! I wouldn’t mind living nearby there, but I think it might be hard to live in the middle of it all. But oh the food, the shopping, the plays! Fun! I love visiting New York too! So much to see and do there. Thanks Ashley – it was incredibly fun! AAAAAAH! 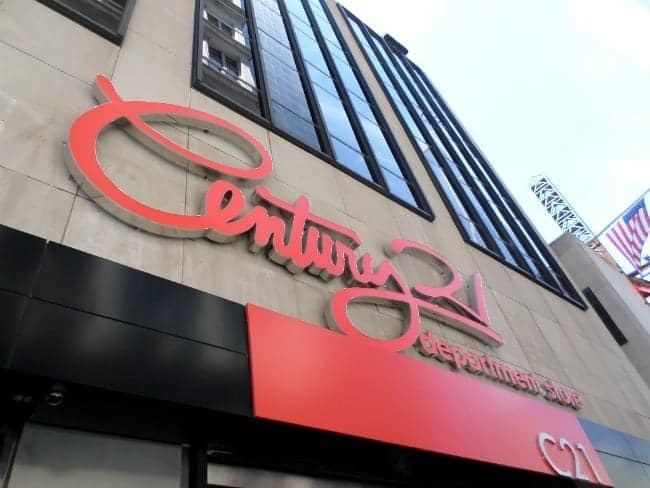 Century 21 — the memories! Actually, the last time I was there was two days before 9/11. Oh wow AJ – scary that you were there at that time. Isn’t it an awesome store? It’s always on my NYC itinerary. I am hoping to get a chance to have a girls weekend to NYC for my 40th Birthday. I’m so glad you enjoyed your time in NYC. I was born and raised in NYC. 🙂 I moved to Florida in 2002. We go back every few years to see family and friends. Thank you for going to the September 11 memorial. I lost two friends and countless acquaintances and neighbors that day. I remember waking up that morning to a thin layer of dust in my house. It was a beautiful evening the night before and we slept with our windows open. 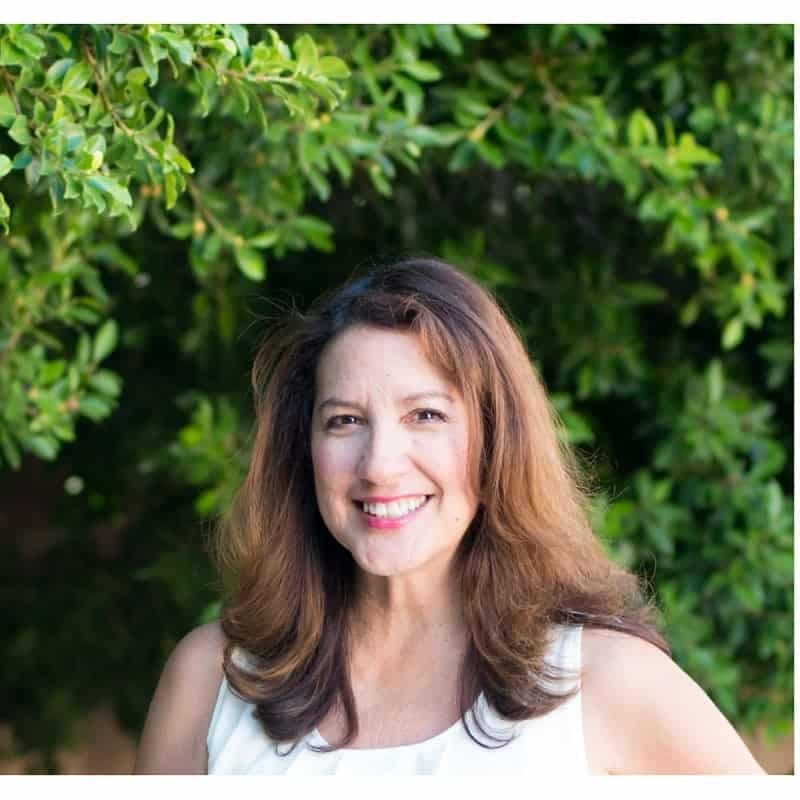 I woke up after the towers fell – my husband and family were trying to reach me but the phones lines were cut off. My husband saw the whole thing from the roof of his job and got in his car to come home because he couldn’t reach me. The next few weeks were crazy – I went to more funerals and memorial services in the following weeks than I ever have in my life. Oh gosh Joanne, I had no idea that you were there. So very sorry for your loss. I remember watching on TV and cannot imagine what it was like living through that. NYC is a great city and I am glad to see it stronger than ever. I hope you get there Jamie. It is a beautiful city and there is always so much going on!